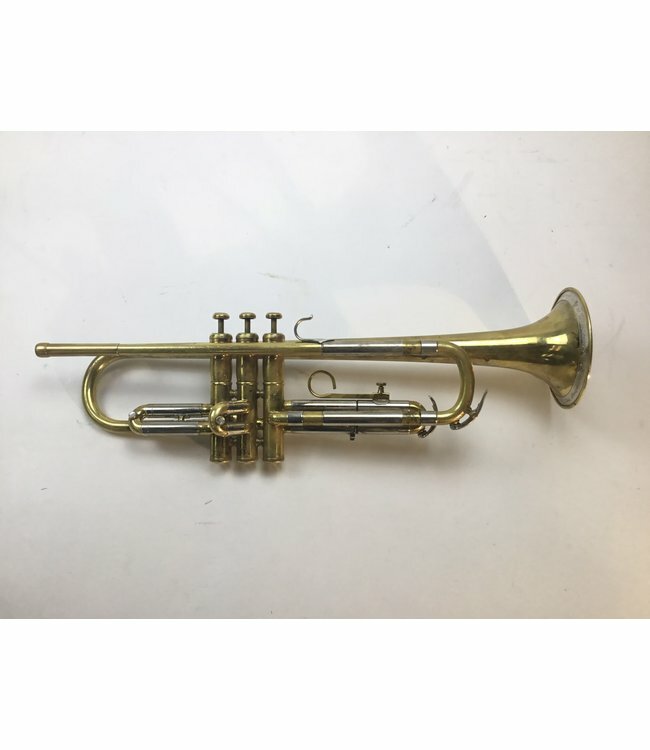 Used Olds Super (Los Angeles, CA) Bb trumpet in lacquer. Overall good condition for age with evidence of metal wear at contact points. Almost raw brass and surface scratching throughout. No case.